Rhodes is the largest island of the Dodecanese. The capital of the island is located at the north end and is the capital of the Prefecture of having in the Centre of the medieval town. In 1988, the medieval town was designated as a world heritage city. The medieval town is a mixture of different architectures from different historical periods with a dominant period of stay on the island of the order of the Knights of St John and the Ottomans. Today, is a living piece of the modern city which developed commercial, tourist and recreational activities while also includes residential areas. Rhodes access is very easy, so by plane and by boat from Piraeus, Crete and other islands of the Dodecanese. The port of Rhodes is about 5-7 minutes by car from the center of the polis. you can also take a taxi from the station located near the port, a few meters from the main entrance of the Castle. Telephone for taxi is 22410 22410-and-69,800 69600. 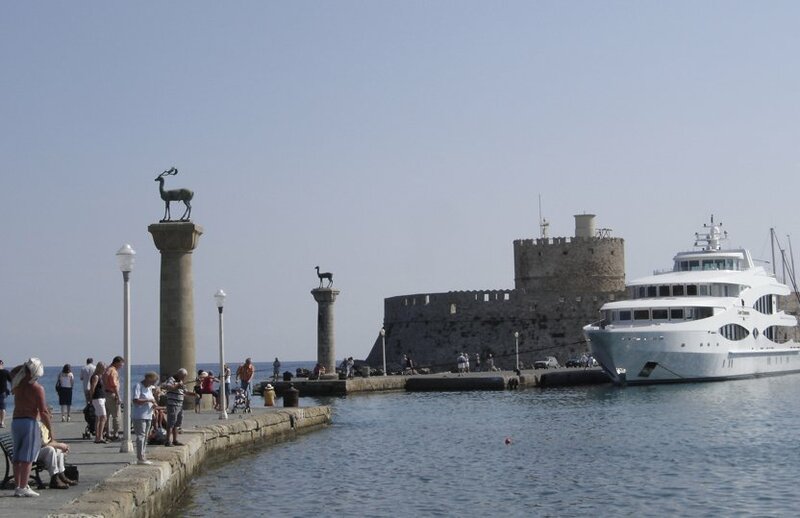 From the port of Rhodes depart daily boats for Piraeus with Blue Star Ferries. Rhodes that daily and with the other islands of Dodekanisa with ships of the Blue Star Ferries and Dodekanisos Seaways. and with Crete with the ferries of AIGAION PELAGOS. Information afixeon and anachoriseon you can get from the port of Rhodes in phone 22410 22410-22220-28666 . Air Champion24 .com offers ferries to and from Rhodes on all services performed from any port of Greece. You can easily search and choose your ferry route that it serves, easily and instantly. The booking takes place in real time using your credit card or by making a booking with the help of the staff of our Office.